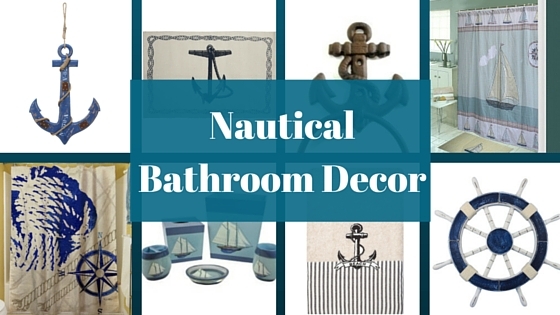 When searching for bathroom decor that is perfect for a masculine bathroom, beach house, or guest bathroom, a nautical theme is always a great choice. 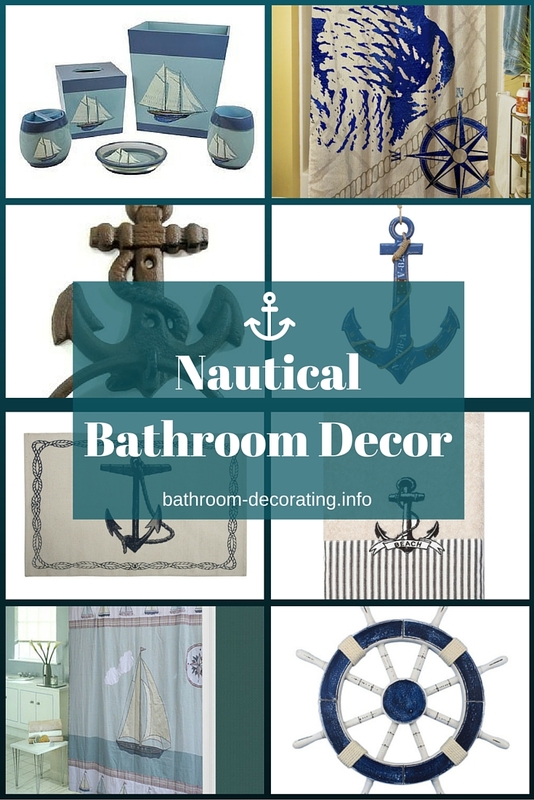 Here we take a look at some nautical bathroom decor essentials that are manly enough for “his” bathroom, yet still look great for any powder room. 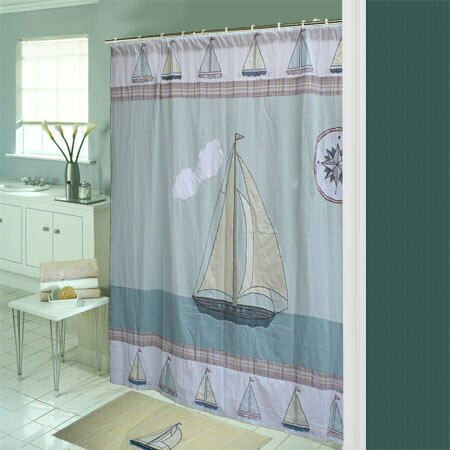 This nautical themed shower curtain features the art of Karen Williams and is made from 100% polyester fabric. Curtain has a great coastal theme, making it perfect for homes near the water such as a beach house. Shower curtain has twelve hook holes spaced six inches apart and measures 71 inches high by 74 inches wide. White and gray with bold blue detailed print of rope and a compass. Curtain could also be used outside of the bathroom as a window curtain if desired. May be machine washed. This shower curtain features a colorful red, white, and blue color scheme with stripes in all three colors at top and bottom. Below top set of stripes are pictures of anchors, captain’s wheels, and sailboats against a light blue background. Beneath the light blue strip is a large solid navy blue area with another striped section underneath it. Curtain measures 72 inches high and 72 inches wide and is made from machine washable and dryable cotton and microsuede fabrics. Hook holes are stitch reinforced and are spaced six inches apart. Shower curtain requires a liner. Made from 100% cotton fabric, this shower curtain is machine washable and can be line dried or dried flat. Curtain has twelve hook holes and measures 72 inches by 72 inches. Done in various shades of blue and red, curtain features a top and bottom border of sailboats. Main part of curtain has one large sailboat out on the water, with a compass rose pattern on the right upper side. Perfect accent for a beach house bathroom with it’s light and airy feel. 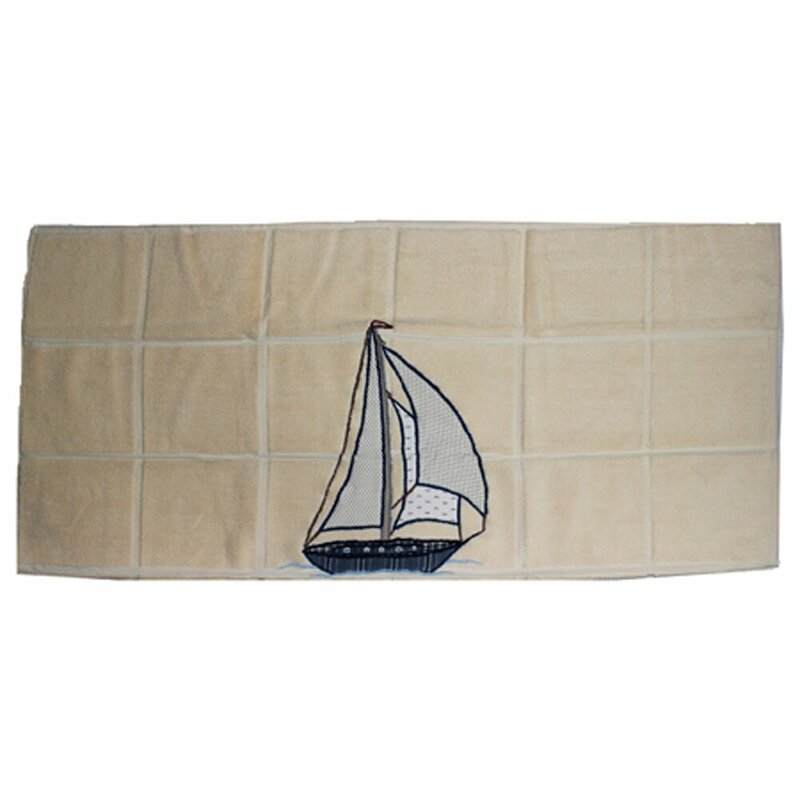 Accent your nautical bathroom decor with this white bath rug with an applique featuring a small sailboat out to sea. Rug is made from cotton blend fabric and measures 21 inches wide, by 34 inches long. Machine washable and can be line dried or flat dried. 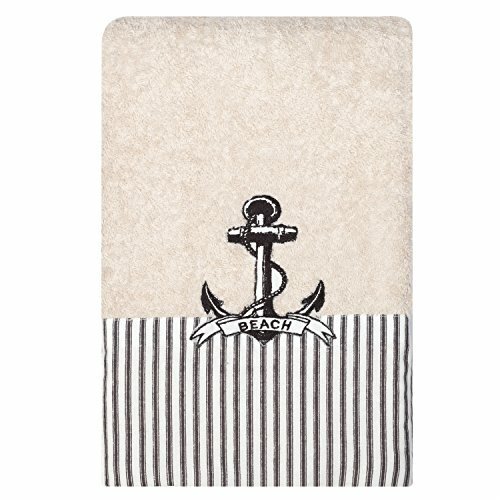 This bath mat works well with any nautical bathroom decor and is made from cotton basket weave fabric with hand screened ink. 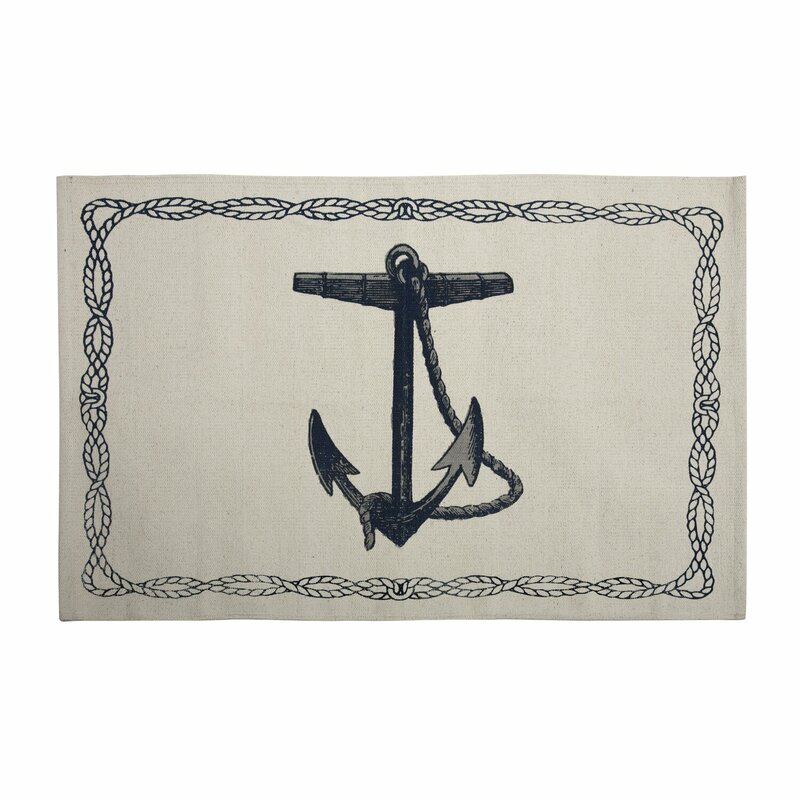 Features a white background with navy blue rope border and large anchor in the center of the mat. Measures 24 inches wide by 36 inches long. 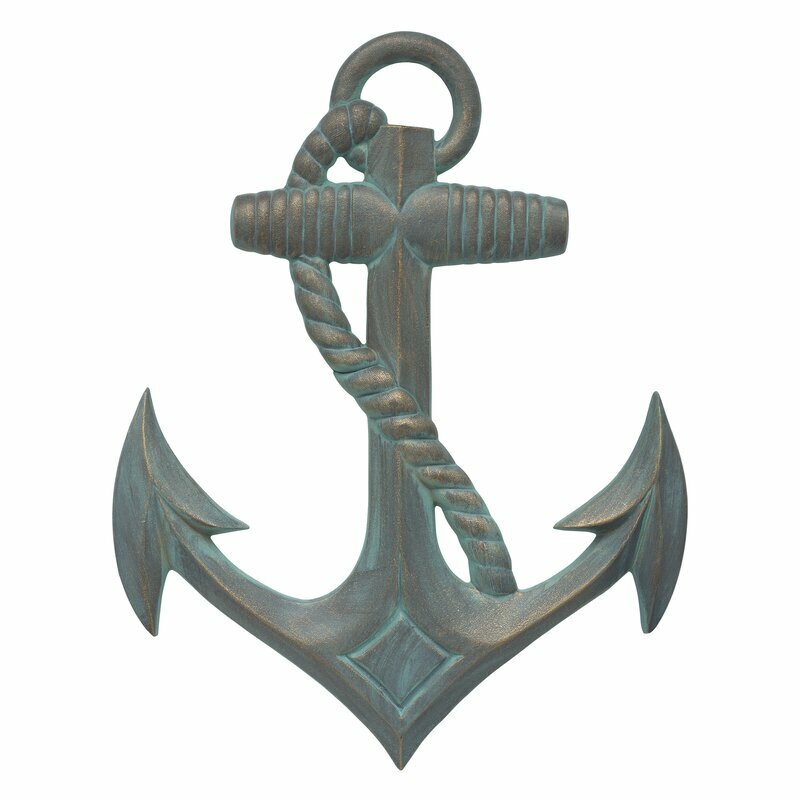 The detailed design of this Anchor wall decor create high perceived quality and value. This wall art is cast from recycled aluminum, a highly durable metal that is rust-free and eco-friendly. Carefully hand painted in a variety of all-weather finishes that suit most decors. Can be used for both indoor and outdoor application. This product combines a rustic finish with a seagull decoration to make this the perfect nautical wall hanging to accent your home. Ideal for those who love sea life decor and nautical wall art, this beach decor will leave your guests in awe. 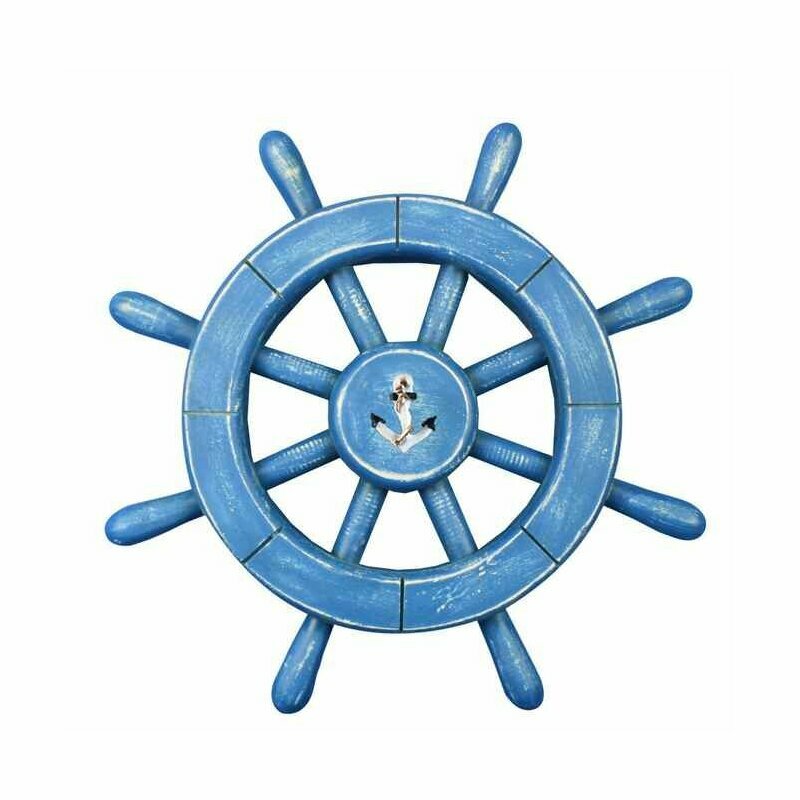 This Rustic Ship Wheel Wall Décor has eight spokes surrounding it and is easily mountable to a wall in need of a beach decoration. 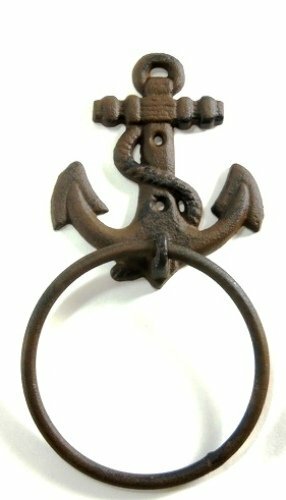 Cast iron anchor towel ring is great for masculine themed nautical bathrooms or any beach house location where a towel is needed. Measures 8 1/4 inches tall by 4 inches wide. Features an old brown patina for a rustic look. 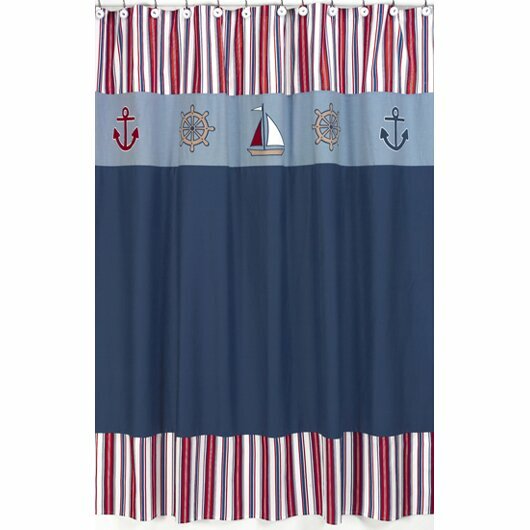 These 100% cotton bath towels feature nautical stripes and an embroidered anchor in dark blue color. 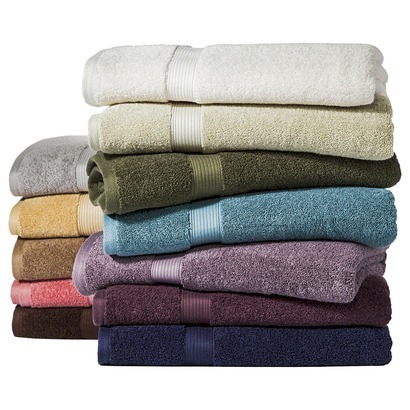 Easy care towels measure 27 inches wide, by 50 inches high. Small banner at bottom of anchor says “Beach”, making these a perfect beach house nautical bathroom decor essential. 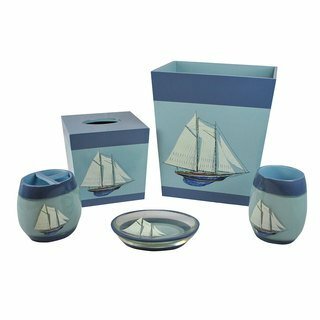 This bathroom accessory set is made from wood and resin and features five pieces including tissue holder, soap dish, tumbler, toothbrush holder, and wastebasket. Light blue background with darker blue border on both top and bottom. Pieces have a sailboat in the center. 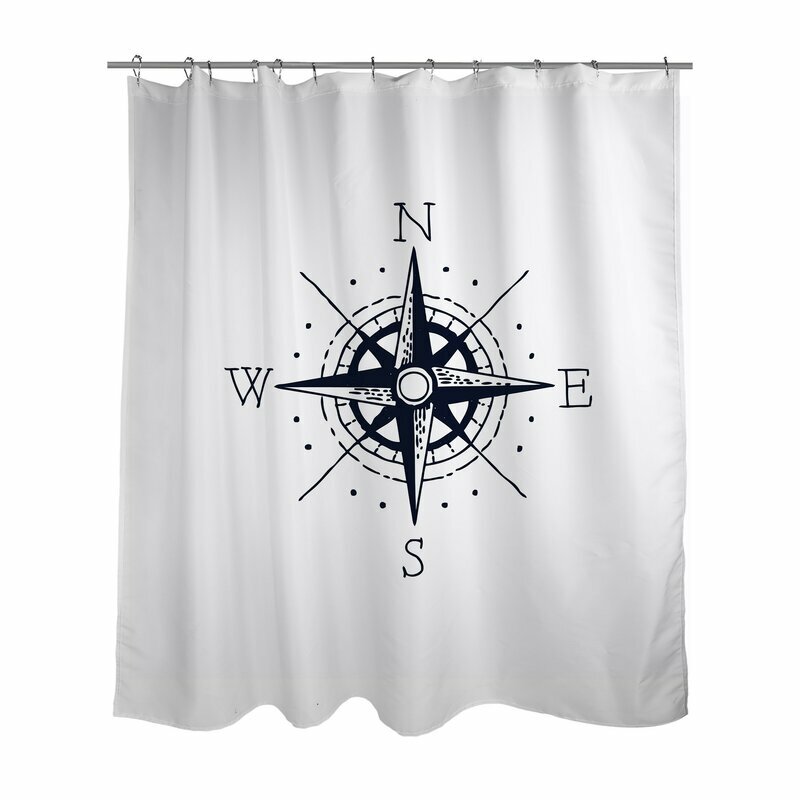 Makes the perfect addition to a guest bathroom, beach house bathroom, or masculine bathroom.